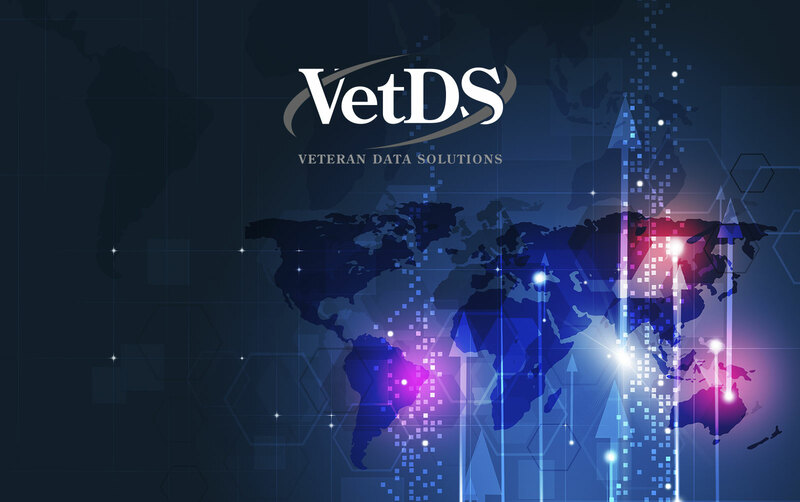 Veteran Data Solutions (VetDS) is an applied leader in information systems, geospatial solutions and services providing best of breed capabilities along with professional, technical and training services to our customers. VetDS is a CVE verified service disabled veteran-owned small business with core competencies in Imagery and Geospatial analysis, Full Motion Video PED, highly specialized metadata capabilities, data management, cyber range operations, data center services and skilled personnel services. Our mission is to attract and retain high-quality employees with the best pay and benefits package so that we can provide our customers with the very best skilled and sustainable services along with specialized data center capabilities. Our level of dedication, services, support and attention to detail instills confidence in our customers time and time again to trust VetDS to solve complex problems. VetDS is headquartered in NC, with customers from Coast-to-Coast. We are a proud affiliate of The Institute of Drone Technology™ for the integration of drone technology with a commitment to corporate responsibility and sustainability by managing environmental, social and economic risks and responsibilities. VetDS helps our clients capitalize on opportunities to deliver technology development and investment outcomes for the benefit of all stakeholders and the broader community. Derek Aultman is a Service Disabled Veteran, Chief Executive Officer and President of VetDS. He proudly served active duty in the Air Force Special Operations Command. After leaving active duty he began a career in sales providing data storage solutions. In 2008, Derek realized that there were many gaps in supporting customers throughout the solution life cycles and started his own company, Veteran Data Solutions, L.L.C. “VetDS”, to address those gaps and provide highly reliable and accountable services to his customers. He grew his company to offer more unique services and solutions resulting in a full portfolio of data center architectures, cloud-ready infrastructures and highly technical services to include machine learning and artificial intelligence. Michelle Aultman is a Veteran, Chief Technology Officer and co-owner of VetDS who brings 25 years of Information Technology (IT) engineering experience with a M.S. in Information Assurance from Norwich University. She is a successful entrepreneur, combining strategic and analytical capabilities to put clients in a position to harness machine learning analytics to drive growth for the next decade. As an innovator with 25+ years in business leadership, she has real-world experience in aspects of business formation, operation, and management. Michelle is recognized as a visionary product developer with deep education and hands-on experience in research and analytics. She is an effective communicator and motivator who identifies and leverages assets in teammates to reach organizational goals and is a relentless optimist who believes there is no failure, only feedback. Our development team holds advanced degrees and skillsets that include Haskall, Docker, TensorFlow, TensorRT, PyTorch, CuPy, R, Python, MatLab, Octave, Open CV, BoofCV, OpenTld, Aforge, PySpark, Hive, Excel, SQL, SSIS, SPSS, Minitab, Azure Machine Learning, Azure Data Factory, Hadoop Data Lake, SAS 9.2 , 9.3 (Windows & Unix), SAS BI , Data Integration Studio 4.2, Web Report Studio, OLAP Studio, Information MAP Studio, Enterprise Mine and more. If you are looking to expand into Artificial Intelligence, Machine Learning and Data Science, this is your team. You often hear the words “career” and “job” used interchangeably, but they are two different things. A job is something you do to in the short term to earn cash. It’s filling a work role within a business in exchange for money. A career, though, is a long-term pursuit of a lifelong ambition. Are you ambitious? At VetDS you are valued and we prove it with our extraordinary benefits packages! All interested candidates should e-mail their Resume and CV toFabio Vargas at vargas@vetds.comThis is normally where you would see a job description that is hyperlinked and it sends you to another webpage where you are asked to put all of your information into a large database bank and that site will package it up and sends us an email. At VetDS, we do things differently. We cannot possibly start off a great relationship with that as a starting block. We want to take the time to talk to you, get to know what you are looking for in your career and get a true feel of how you would fit within our VetDS family as well as what inspires you individually. Searching for your next career path is a big deal – let’s put the human back in the loop in this process. It’s important because your future is important to us!